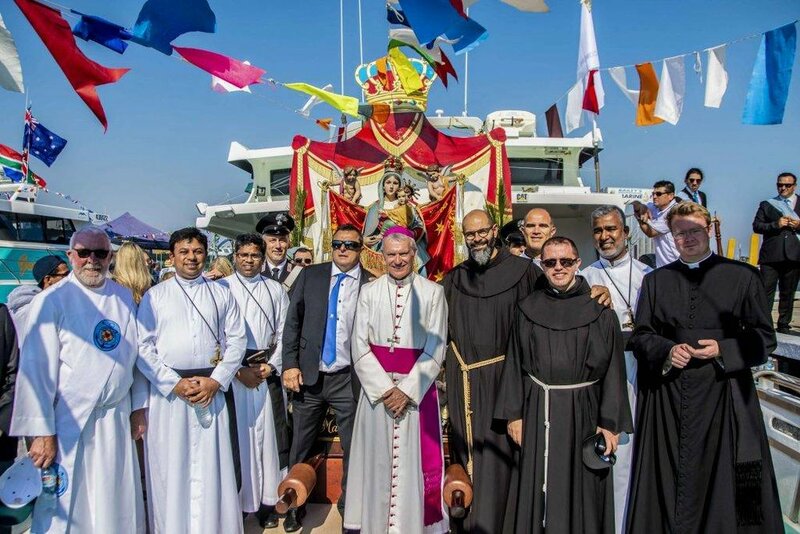 On 28th October 2018, the Italian communities of St Patrick’s Basilica, Fremantle, WA celebrated their 70th Annual Blessing of the Fleet. The tradition, developed centuries ago in the Mediterranean, was first celebrated in Fremantle in 1948, with the arrival of Italian immigrants, particularly fishermen from the town of Molfetta in Puglia. The occasion started with an Italian mass being celebrated in St Patrick’s Basilica, by Archbishop Timothy Costelloe SDB and concelebrated by Fr John Sebastian OMI, parish priest; Fr John Archbold OMI, Fr James Jeyachandran OMI, Fr Subash Fernando OMI, Fr Pierangelo Borali CRS, Fr Giovanni and Fr Francesco Maria, both of whom visited from Molfetta, Italy. 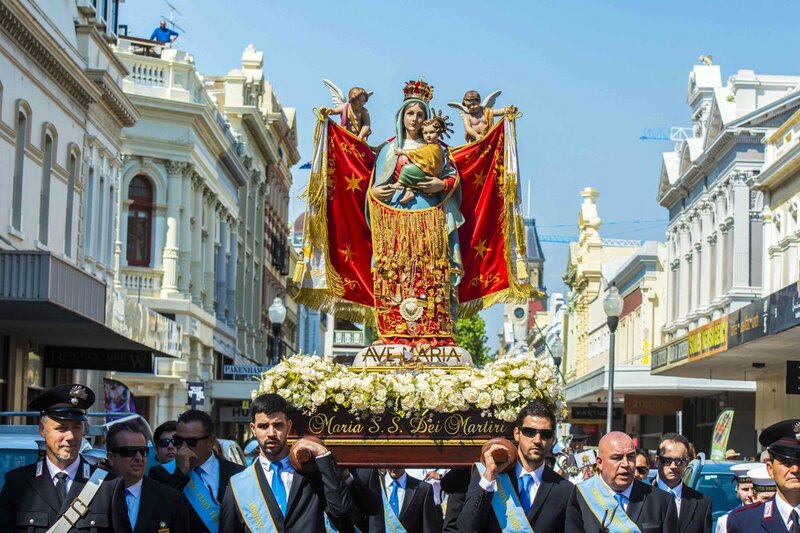 Then the statues of Madonna dei Martiri and Madonna del Capo d’Orlando were paraded through the streets of Fremantle, down to the fishing harbour, where aboard the adorned boats, the Archbishop blessed the fleet and called upon Our Lady’s intercession for a good fishing year and safe travel for all seafarers. Hundreds of people were in attendance and the day culminated with festivities and fireworks at St Patrick’s Basilica. Many congratulations goes to the organising committee and parish staff who would have put in hours of dedicated service to create such a tremendous event. Many blessings on the Italian community in Fremantle and particularly for those at sea this year. Click here for the full story from The Record, Catholic Newspaper for the Archdiocese of Perth. Newer PostEnd of another Year...but another soon to start.